Time to get cutting! 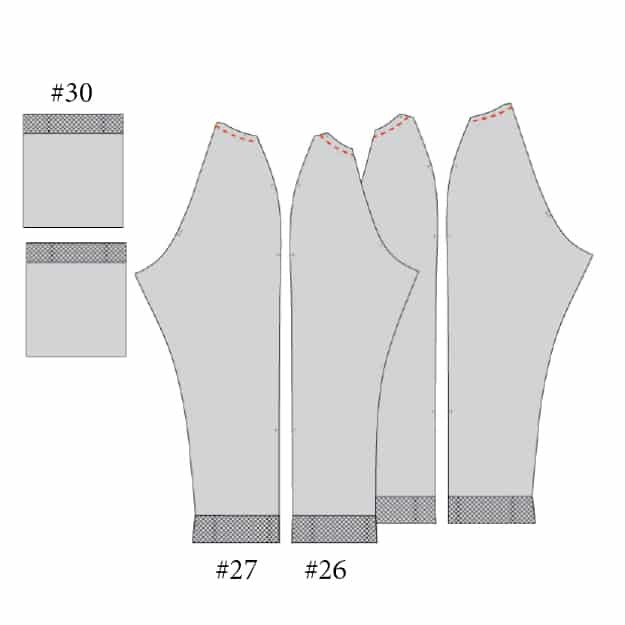 Yes, there is a lot of cutting and fusible prep to get this pattern ready to sew, but don’t let that stress you out. 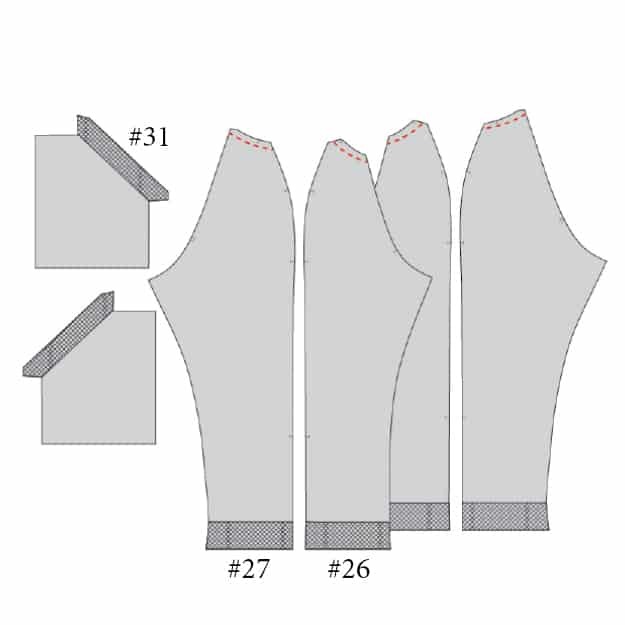 If you take your time with this part, you will set yourself up for smooth sailing during sewing! 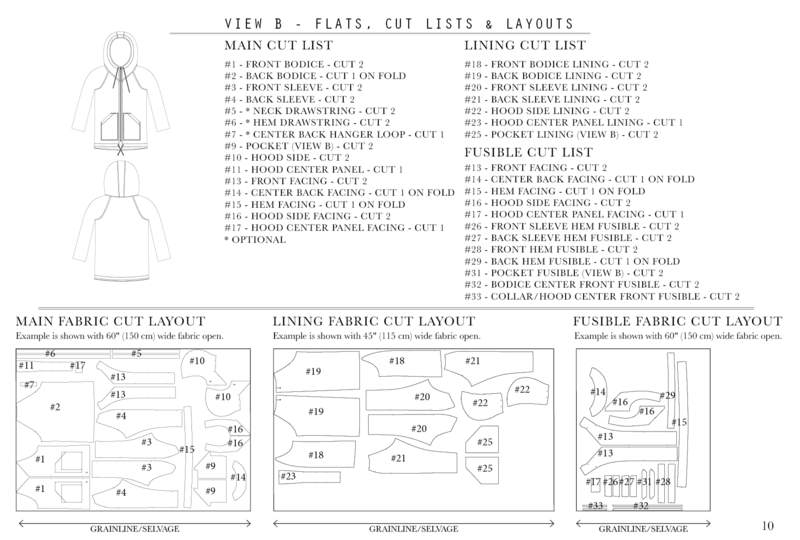 These are the cut lists and layouts listed in the pattern. 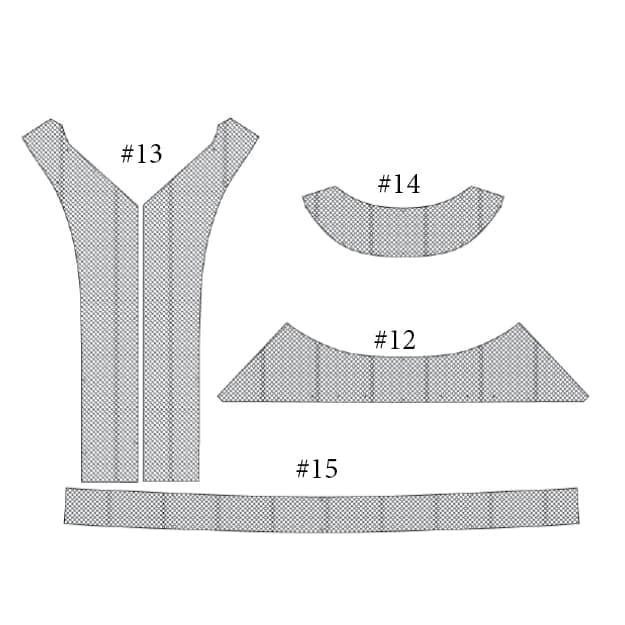 I have the pattern laid out with the fabric open but you can fold it in half, along the grain line, and cut the pieces 2 at a time. 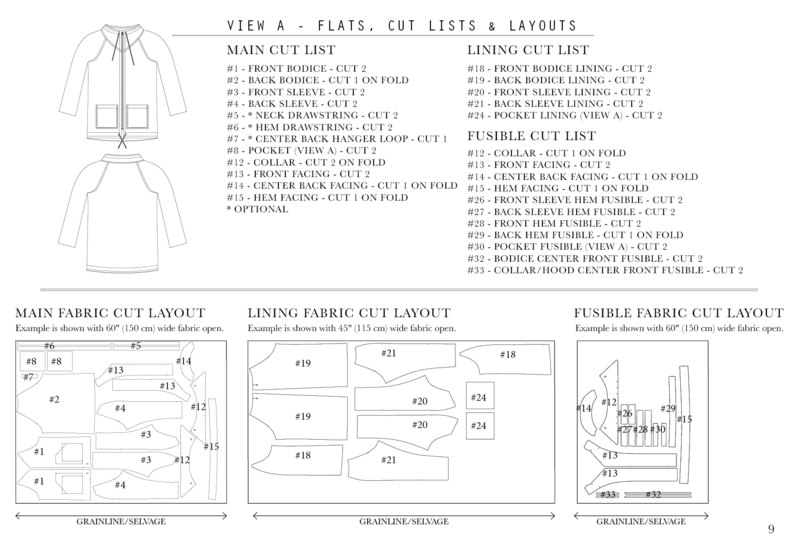 Lay everything out first before you start cutting to make sure you have the best placement and – more importantly – that you have enough fabric. There is one thing I want to mention before you start cutting. Below, I talk about block fusing. 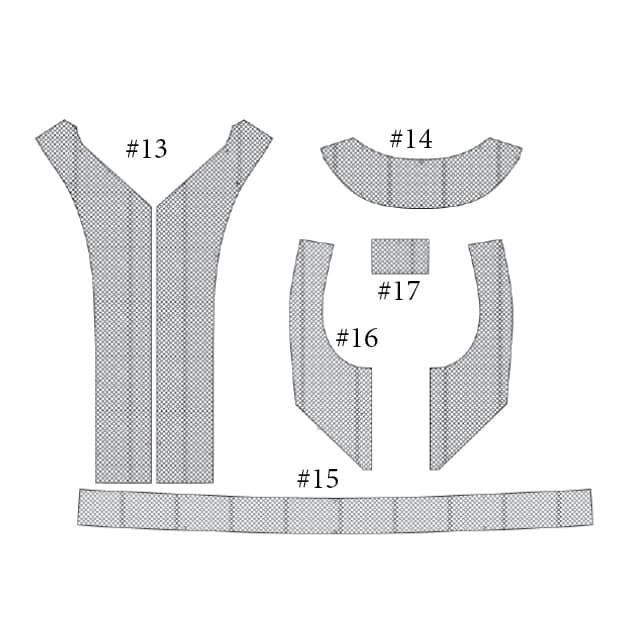 You might want to try this option for the fully fused pieces if you have enough fabric. 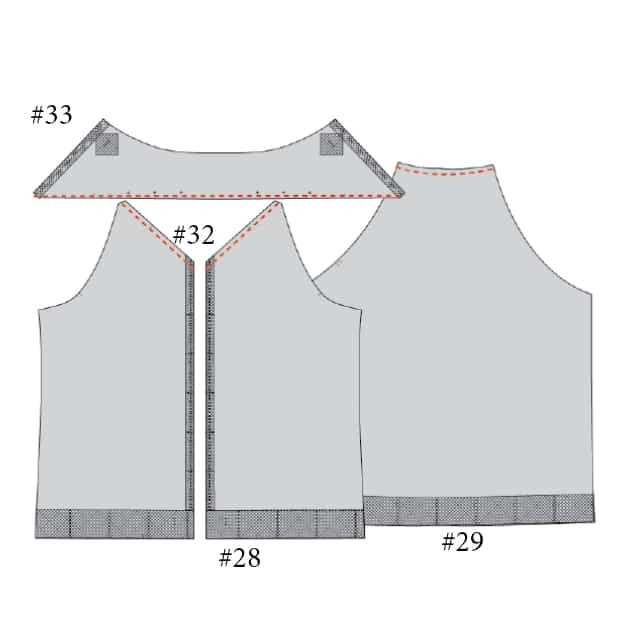 For the other pieces, you can apply the fusible interfacing after you cut your pieces out. 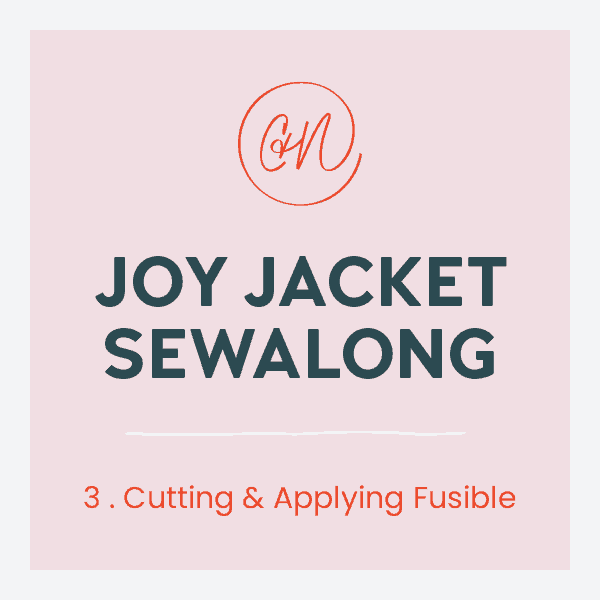 There are pattern pieces that are fully fused for the Joy Jacket, and I prefer to block fuse these pieces. 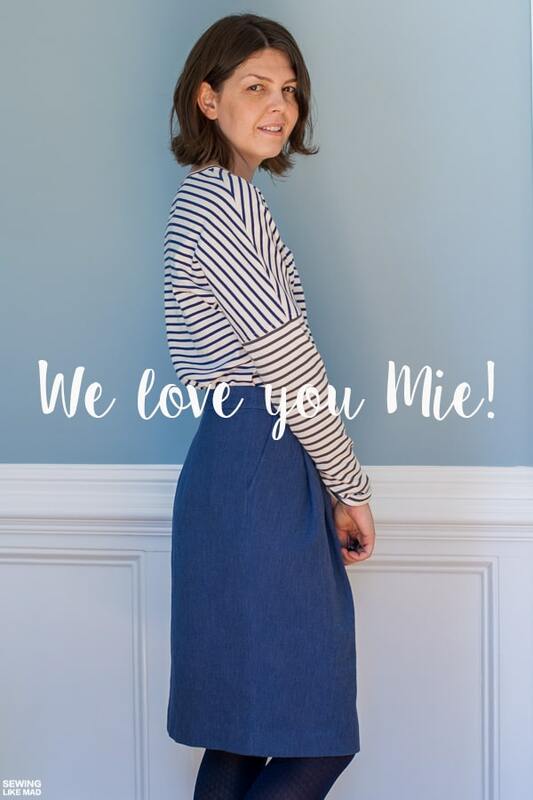 To do this, you fuse a block of fabric completely and then cut your pieces out of the fabric that is already fused with the interfacing. There are also pieces that are partially fused and have fusible added to parts, usually the hem. See below for reference. 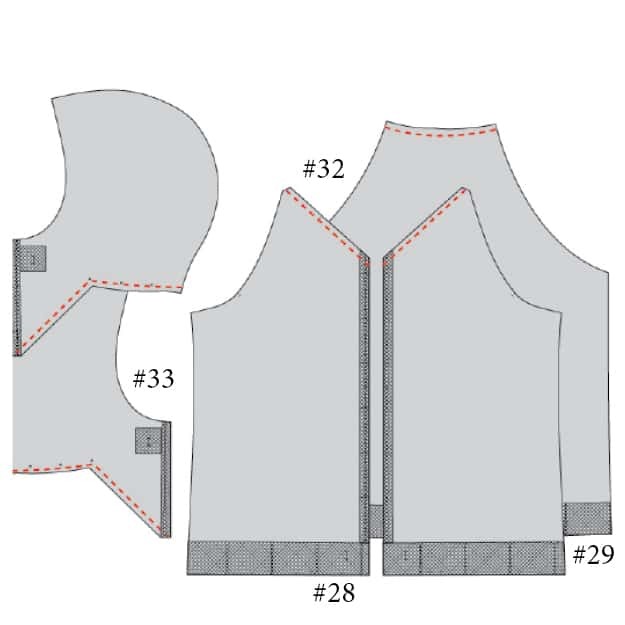 Don’t forget to transfer all notches and “+” markings from your pattern to your cut pieces. These will be really helpful when sewing. Now that all of the cutting and fusing is out the way, you can start sewing!